Those who know me know that I graduated in 2000 within a Biblical Counseling degree from,then Northland Baptist Bible College, now known as Northland International University. Those who knew Northland back then knew a different school than what is there now. Sure some of the same people are there but something is amiss. It was once a school that taught its students to stand for the faith which also included taking stands against New Evangelicalism, worldly standards including music, and compromise in doctrine. Now today it appears that Northland is content to run into the the arms of the evangelicals and attempt to draw their students to the school. They now have allowed music that would have been banned just years ago. A trip has been taken with students to a “Christian rock” concert as part of a school outreach opportunity. Some members of the leadership including Dr Ollila have gone to meet with people like John MacArthur and decided that there is not that much that would separate them from cooperating with each other. There is now in my opinion an even bigger embrace of Reformed style theology and “Lordship salvation” that is tolerated by the school. Men like Dave Doran from Detroit Theological Seminary and Tim Jordan from Calvary in Lansdale, PA and Kevin Bauder still speak often at the school but have been supporters of people like Mark Dever and others in “conservative” evangelicalism. Not only that but men like Dr, Ollila (who I still have much respect for) and Dr. Olson (now the president of NIU) continue, last I’ve heard, to maintain that nothing has really changed at the school. I can understand a few things. One is the men who previously leaned toward Calvinism or New Evangelicalism have now found motivation and boldness to pursue that path more aggressively. They have thrown down the challenge to those who question their changes and have shown many the door meanwhile ushering in those who appreciate and support the new directives. The second thing is that this has caused a stir among those within Fundamentalism who were already weary of the encroach of compromise, Calvinism, New Calvinism, New evangelicalism, and the like. Those who may have stood with Northland back in the day now find themselves at times even ridiculed by those who embrace the change. Some say times have changed and people within fundamentalism have “matured” and are willing to build bridges for sake of the gospel. What I can’t understand is why they deny that things have changed? It is obvious. The burning question is then this: Have things changed for the better? What exactly is this gospel that these men are so eager to embrace? The answer is the basically the Lordship Salvation gospel. Some might disagree but let’s think about this. If I were to ask these men to describe how a person is saved, what response would I get? 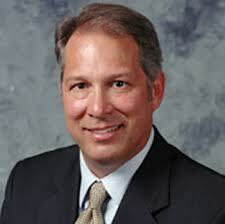 What answer do you suppose I would get from a Calvinist such as Dave Doran? His writings can easily be found online and he makes his views quite clear. Would these men really think that they could find common ground with MacArthur if they really disagreed with him too much about Lordship salvation? 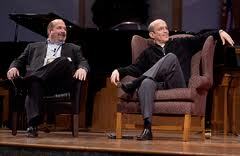 Would they have been so eager to sit on stage with Mark Dever? 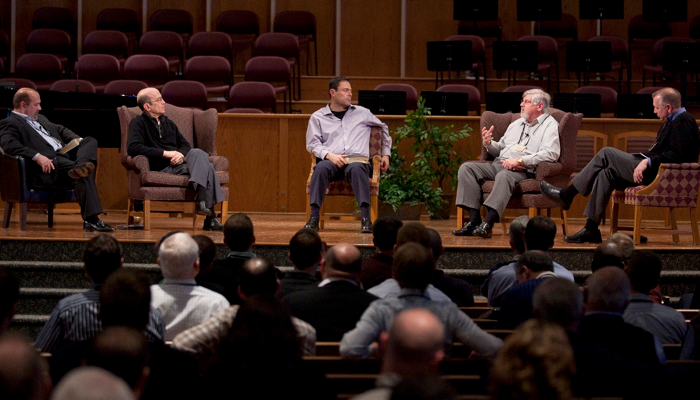 Would they attend things like T4G if they really held a Free Grace view of the gospel? I think it is rather more like the old adage: Birds of a feather flock together. I would not even think of going anywhere near MacArthur or Dever, and I can’t even imagine sharing their positions or supporting their ministries. As much as these men may dance around the issue, when it comes down to it they respect the lordship view and look down upon the free grace view. I would like to hear even one of these men mentioned refute statement and give me a clear free grace message of salvation. Of course the minute they do, they would be at odds with those that they now seek fellowship with. What can the average person learn from all this? We’ll first, let’s realize that no person or group of people is infallible. No one no matter how strongly doctrinal they may be now are immune 100% to drifting into error. It takes real work to study to show thyself approved unto God. Rightly dividing the Word of truth does not come easy. The second thing is that we should not under estimate our adversary. The devil seeks to cloud the clarity of the gospel in the minds of men. He has no problems using well meaning Christians to confuse other would be converts. Likewise the devil is glad to have believers be told to scrutinize their works to see if they are in the faith. Focus on performance takes one’s eyes off of the person of Christ and our position with Him seated in the heavenlies. Do we have to be mindful of our actions as believers? Sure, but we must do so while being filled with the Spirit in obedience to God’s Word. The fact is that all men must first come to Christ for salvation. The only way to receive salvation t is to accept Christ’s payment for our sin by faith. This is the gospel message. No amount of promising to obey Christ in the future has any bearing on salvation. The price was already paid by Christ’s shed blood. Salvation is also not something that we must wait around for to examine ourselves to see if by chance we just might be so lucky as to be one of the elect. The Bible clearly states that whoever believes in Him shall have everlasting life. Don’t let anyone tell you that you can’t. It would insult God to tell Him that we appreciate that He sent His Son to die for us but that we can’t believe it until He makes us believe it. Despite the movement in Christian circles, let stay clear on the gospel above all things and make sure that there are still those willing to stand for the faith no matter what other men do no matter how well known or popular they are. One day in eternity we will answer to God for what we believe, not other men. This entry was posted in Fundamentalism and tagged Calvinism, Christ, God, Lordship salvation controversy, New Calvinism, Northland International University. Bookmark the permalink. Excellent article. What a shame that a once great school has degraded so. We are familiar with the Calvinist/LS influence at NIU. A young relative from a Fundamental family and church background graduated NIU as a “devout” Calvinist with little or no discernment of things Biblical. When a school and their administration pals around and gets cozy with the likes of MacArthur and Dever, they have sunk to the bottom of the doctrinal barrel. I agree, it is the bottom of the doctrinal barrel. Sadly, they are not the only school to have done so and will not be the last. It puts even more pressure on good schools and churches to produce well educate people who will clearly proclaim the gospel the way it was intended minus all of the Calvinistic add-ons. It is sad to read of what sounds like an incredibly fast doctrinal slide taken by NIU. Very sad! Going to a church that has slight Free Grace all the way to strongly Lordship sensibilities, I’ve tended to turn to the NT for sanity. I’ve also been asking the question, why? Why do traditional and non-traditional, evangelical and fundamental people get so confused on the Gospel? You see, my wonderful Christian in-laws (I’m from the RCC) mostly are very active in Independent Fundamental Churches, and frankly, they tend to see the Free Grace Gospel as suspect. So I’m glad to hear that is not typical!! Though certainly I have been aware that fundamental churches tend to be stronger on the Gospel. Anyway, glad to find your blog! Sorry you are experiencing this contagion in you old bible school. Professing one thing, but practising another is a deception I just cannot get my head around. This attitude has become absolutely rampant these past few years and so often said with a smile of agreement or sagely nodding of a head by the practitioners of this double standard. It is now so common-place to hear men speak out of both corners of their mouths at the same time; it seems to have ‘gone viral! I first recognised this dirty practise through listening to John MacArthur about five years ago. Now it is coming out of other men’s mouths, such as David Reagan, with clogs on, and all done with such a cheery disposition that leaves me feeling that I am the one who is completely confused and has gone totally nuts trying to follow their twisted logic. It is SO crafty and SO blooming wicked, it needs to be stripped of its fakery and be laid bare for all to see the tricks. Grrr. There are a couple factors at play here. Mankind has a tendency misunderstand the gospel. The second thing is that the devil uses many things to enable continued blindness. Fundamentalism has included groups with Reformed views including Baptists that are Calvinistic. In my experience, what you describe, “Going to a church that has slight Free Grace all the way to strongly Lordship sensibilities,” is what I’ve have witnessed in many Baptist churches. Lordship is spread both in colleges, seminaries, and by popular authors both past and present. Some fundamentalists will balk at the idea of Lordship salvation but will all be suspicious of free grace because it doesn’t include the hard demands for what they view as repentance (an intense desire to turn from sin or sins). What many of them don’t realize is that this idea fits better with reformed or covenant theology than it does with dispensationalism. Below is a web site that is asking Matt Olson to explain the new direction that Northland is headed. Matt is right when he stated that he is seeking to catch up with the alumni. I’ve also included my comments below. I wish Northland would publicly apologize to all of their alumni that they sought to discredit through name-calling, but I am glad to know that Northland finally gets it. Breaking fellowship with other Bible-believing Christians is a sin. I’m glad that Matt Olson is leading Northland back into historic fundamentalism and healthy fellowship with all who lift up the name of Jesus and who are together for the Gospel. Matt Olson is following many of Northland’s alumni into historic fundamentalism. That’s right, into historic fundamentalism. Today’s modern “fundamentalism” is a mere shell of what thriving, healthy fundamentalism looked like in the early 1900s. Then, men and women from many denominations banded together around the fundamentals of the faith. Denominational distinctives, though important in each denomination, were not barriers to fellowship and unity. This is the direction Matt Olson is going. Northland is removing the unbiblical “separation” barriers that it had erected between itself and other Bible-believing denominations such as the Baptist General Conference, Conservative Baptist Convention, Evangelical Free Church of America, etc. This movement out of the fringe and back into historic, fundamentalist Christianity is a breath of fresh air. I know, because as the grandson of the founder of Northland, I took this step in the early 80s. Sure, Northland’s leadership at the time called me names, such as “new evangelical.” But I knew that I was actually walking down the path of historic fundamentalism. More importantly, I knew I was obeying God and no longer calling “unclean” what God had called “clean.” It wasn’t that hard of a step because the Patz family was never in the camp that Harold Patz led Northland into. BJU style fundamentalism was not our history as a family! And separating from Billy Graham was unheard of. So things are changing now, but for the good. Northland is returning to the Patz family roots. Harold Patz has watched his children and their spouses live devout lives for Christ in the denominations mentioned above. And Harold Patz, Les Ollila, and Matt Olson have seen the light. When your own kids are serving Christ faithfully in denominations once renounced, it creates dissonance. Thankfully, God has used this dissonance to wake up the leadership at Northland. Now, perhaps, Northland can become the school that God intended it to be. One that is in line with the founder and his family. One that reflects the glory of God and the unity of the saints. May God be praised. I will respect who you are as a person and your take on the situation. I do have some comments and questions though in reaction to what you state. I believe that Lou is right to question Matt Olson on this new direction for Northland. I along with many others continue to question it as well. The fact is that there are groups of alumni that disagree strongly with their new direction. There are also churches that have sent students that may not do so any longer. It is insulting for people like Matt Olson to brush us off as if we either don’t matter or don’t exist. Also, why should a school catch up to their alumni anyway? Shouldn’t THEY be the example and the trend-setter based on the desire of the churches involved? Isn’t Northland there to serve the church? Shouldn’t they answer to all of the churches that send students their way? If the majority of these churches and the school leadership truly want to go in this new direction then so be it. However, they should be bold enough to declare it openly and really embrace their new found identity or re-claimed identity or whatever you want to call it. I also disagree with your take that this is somehow a return to historic fundamentalism. I mean, what is the reason to re-form fundamentalism? To fight against the modernists all over again? Is it to combat the emergent church or to spar with some new form of liberalism? No. It looks to me more likely that they want to join hands with those who also support the LS gospel. Isn’t that what things like T4G and the Gospel Coalition is all about? Seems to me that they are possibly taking a step or two toward a new kind of ecumenism than fundamentalism. Why not rather take a strong stand for the plain, simple, straightforward, free grace gospel? How is any labeling done by them now better than what you claim happened to you? Should they just besmirch the students of the last twenty years that happen to disagree with their new direction? What about apologies for the teachers that were treated poorly during this transition? I don’t think you want to go down the apology tour route. Also, what part of defending core fundamentals like the doctrine of the virgin birth has to do with Big Daddy Weave concerts? Why is Northland sending faculty and students to these kinds of things but then trying to downplay it? I think Northland has decided it wants to reach out to more evangelical students from various types of “evangelical” churches. I fail to see it as a good thing. I guess you have to be one of four things in order to get it: Calvinist, new evangelical, conservative evangelical, or Reformed. No matter what happens, the leadership of Northland will stand before God one day and have to give account for how they trained students and how they handled the truth of God’s Word. Only God can be the ultimate judge of that. As far as am concerned I am happy with my four years there between 96 to 2000 and will move on with my life with or without them. Thanks very much for taking the time to explain some of these trends. Very helpful! Glad to have you here John. Feel free to comment any time. I just wanted to respond to your article. I am a graduate of Northland from the 2015 class. I understood the consider that many people expressed during the change, but I found that the Northland heart, the gospel-centered, Christ-centered heart didn’t change. The music always, always, always reflected deep theological truths such as God’s holiness, Christ’s sacrifice and victory, etc. My high school Bible teacher was an alumnus from Northland in the 90s and taught us the same foundational theology that all the professors, faculty, and speakers preached and lived. Students attended T4G, and students were on fire for serving God and loving him first. If anything, I saw a growth unlike any other from my freshman year until my last in myself, in the student body, and in the staff. Please, please understand that. There might have been some personal changes that you don’t agree to, but please understand that the theology, the foundation, never changed.